In 1876 David Lipscomb went west of the city and held a meeting in a schoolhouse. This effort resulted in the establishment of the church in West Nashville. In the spring of 1889, F.B. Srygley and Granville Lipscomb, preaching under the supervision of College Street Church of Christ, conducted a tent meeting in West Nashville and the congregation began meeting a railroad depot at 42nd and Delaware Avenue. Later, a house in the 4400 block of Charlotte Avenue served as a meeting place. By 1890, West Nashville became known as “New Town” and a land company gave a corner lot at 46th and Charlotte Avenue to the church. A small church building of 30 by 50 feet was erected in 1892, but by 1920 the building was deemed too small. In 1921 a new structure was erected and in 1951 a balcony was added to the auditorium. With an Education building added in 1966. For many years four preachers were engaged with a different preacher for each Sunday of the month. Then in 1934 it was decided that one man was needed to work with the congregation as a minister. Thought the years several ministers have filled this position Athens Clay Pullias, Willard Collins, Mack Wayne Craig, John C. Holland, Howard Horton, Robert Kerce, Leonard Owens, and Darrell Blankenship. In 1964 the dedication of the Municipal Auditorium in downtown Nashville was a week long gospel meeting; the effort was led by Charlotte Avenue and completed with assistance of ninety other congregations. Willard Collins was the speaker each evening with Mack Wayne Craig leading the singing. The congregation established mission points in East Tennessee during 1930’s and 40’s an after World War II, Charlotte Avenue helped in efforts at Hamburg, Heidelberg, and Mannheim Germany, with support given to six native German ministers. Also assisting and establishing Park Avenue, Pennsylvania Avenue and West Nashville Heights, Church of Christ congregations. The church observed the Centennial of the congregation in 1990. There were seven hundred present at the Sunday morning service and at 3:30 P.M. that afternoon a presentation “Reflections on the Past” was conducted and booklets with additional history were given to members and victories. In 1993 the Elders of Charlotte Avenue and West Nashville Heights met for the proposal of a merger. But no progress came at that time for a merger. In 2001 the Pennsylvania Avenue congregation closed their doors and merged with Charlotte Avenue. 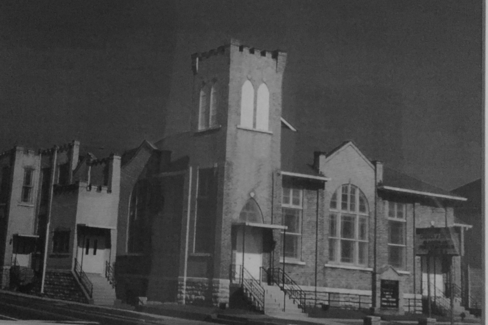 Then in 2007 the Elders of Charlotte Avenue and West Nashville Heights met and plans were made to merge the two congregation. The final worship service for Charlotte Avenue was held Sunday November 25, 2007 with former members of West Nashville Heights in attendance.